More than 15.000 new and used tyres in stock, both Premium- and Budget brands! 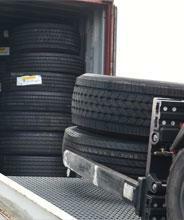 Order your truck tyres online At BAS Tyres, you can order your truck tyres online very easily in our webshop. Or you can fill in the order form and we will contact you as soon as possible. You can also call us or send your request to info@bastyres.com Because of our international experience in the world of truck tyres, we can advise you about different types of tyres and our large assortment. 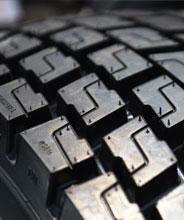 BAS Tyres is always ready to help you! Mounting of your truck and trailer tyres At BAS Tyres it's possible to mount new tyres and or wheels immediatly, even without making an appointment. We always have a mechanic standby and ready to help you. This allows us to guarantee minimum time loss. On average mounting 4 new tyres takes 1 hour. Mounting 4 new wheels takes only 20 minutes! 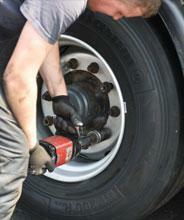 When mounting tyres on a steering axle we also balance the wheel and change the valves of the tyre.